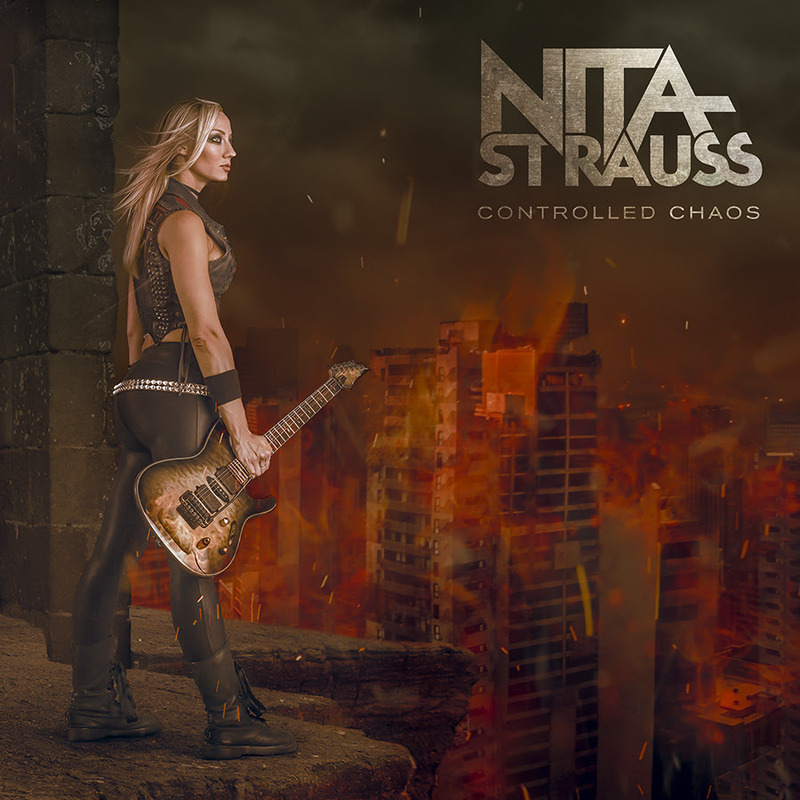 NITA STRAUSS has been fighting to make a name for herself in the guitar world for years. She is one of the most sought after clinicians in the industry and has done extensive clinic tours across multiple continents. Her consistent touring schedule has shown her to play in front of over a million audience members per year consistently for the past several years. 2018 has already proven to be a banner year for Nita with her being named as the first ever female Ibanez signature artist in the company’s 60 year history. She played WWE Superstar Shinsuke Nakamura’s entrance music at WrestleMania in New Orleans in front of an audience of 78,000 fans and millions streaming worldwide just before surpassing her Kickstarter campaign 8x over, allowing her to self-produce and record “Controlled Chaos”.